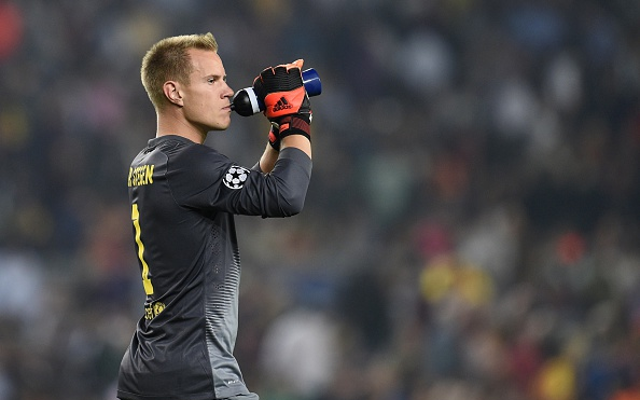 Marc-Andre ter Stegen has been heavily linked to both Manchester City and Liverpool, with Spanish media outlet Sport claiming the English sides have made €20m bids already. The report claims that while Barcelona only want to sell for the German’s €80m release clause, they accept they may be powerless to stop his departure if the player openly requests a move. Ter Stegen, who’ll be back with Barcelona following his international duties with Germany, was asked about the potential summer interest – but predictably – gave nothing away. “I don’t know what the coach (Barca coach Luis Enrique) thinks, you have to ask him,” he began. “I can just say that I want to give my very best. “I hope we reach the next round in the Champions League and win our next game in the league – these are my goals with the team. Obviously I also have personal goals. Well that clears everything up! Ter Stegen only starts for Barcelona in Cup matches, and has had to watch Claudio Bravo between the sticks in La Liga fixtures ever since he signed for the club in summer 2014. For a keeper of Ter Stegen’s ability, this surely will have caused unrest, and with the English clubs reportedly happy to double his wages and offer him a guaranteed starting spot, his head might be turned. Bravo though is 33 next month, and is approaching the twilight period of his career, meaning Barca may look to ease Ter Stegen in next season which will scupper any club’s chances of clinching an exciting deal.